Why would you use an active skin care product vs a resting or calming product? The heart of #sanitas skin care is tested and proven skincare routines lies in the concept of “exercise and rest”. Sanitas skin care utilize alpha hydroxy acids to encourage skin renewal and strengthen the skin’s barrier. As the skin grows stronger, Sanitas products graduate in intensity and continue to elevate results to prevent your progress from stalling. How do we rest the skin? A resting phase and strengthening phase are both necessary to build continuous skin strength. On resting days, exercising products are eliminated and only pH neutral products are used to keep the skin’s barrier intact Limiting the use of exercising products to 3-4 days per week allows the skin to recover and regenerate. How do we nourish the skin? Just like the rest of your body, your skin needs daily nourishment to strengthen and remain healthy. By following a program of exercise and rest, the skin is optimally primed to maximize the utilization of topical and internal nutrients the Sanitas collection features biogenic nutrition for topical use and three targeted supplements for internal support. Please contact Jo Ann at Skin Deep Clinical Skin Care and Laser Center to schedule your consultation. Learn more about #sanitas skin care and how to optimize your skin care routine. If your skin feels slick or you have stubborn blemishes and blackheads, a drying mud or clay mask is the answer. Mud, tea tree oil and sulfur formulations gently draw out oil and work well on all oily skin types. Sanitas skin care has a tea tree mask contains: Niacinamide, salicylic acid, clay, & tea tree oil that may be used safely daily or 1-2 times per week. 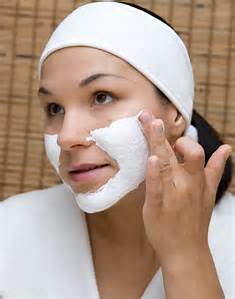 Be sure to consult with your skin care specialist on formulas and how often oily skin masks should be used. Everything from wind, sun. over exfoliation, and extreme weather will leave your face red and inflamed. It is important to know that the your skin has a lipid barrier and you want to protect it. This will assist your skin in staying moisturized during the dry cold winter months. When your skin needs a time-out, use a mask with soothing ingredients to calm your skin such as calendula, rose, cucumber, aloe or milk and honey. Try #leafpeople calendula-goji Radiant Mask which offers intense hydration. You may even leave this on the skin over night. VitaRich Mask by #sanitas is an enriching mask that imparts deep hydration to replenish dry, dull skin due to harsh winter conditions. To firm skin with a loss of elasticity and irritation try ReVitaLize Mask by #sanitas. This contains a complex antioxidant formula the replenishes moisture and smooth fine lines and wrinkles. Don’t suffer with red irritated skin, calm it bycontacting Jo Ann at www.skindeepgj.com to learn more or schedule a treatment. 970-250-9249. Lately there is a lot of interest in facial masks. How do you find the right facial mask for your skin type and decide which one to choose? There are so many choices and the key ingredients and delivery system to your skin is of the utmost importance. 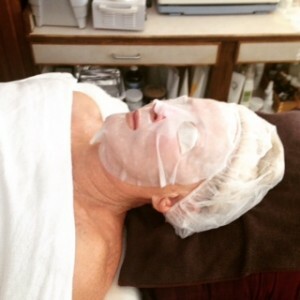 Some facial masks are setting masks which means they dry hard; some are gel mask which mean they do not set up and stay moist on the skin; while others lift off. Some mask’s may even be left on the skin and massaged into the skin. Say goodbye to dry and dull complexions and say hello to smoother younger more radiant skin. Enjoy this anti-aging treatment with brightening ingredients made from pumpkin enzymes. The perky pumpkin facial will dissolve impurities and dead skin cells while encouraging healthy skin renewal. Sanitas skin care is created with a targeted blend of organic fruit enzymes, humectants and antioxidants. Help your skin and decrease the appearance of fine lines and wrinkles; hydrate and refine your complexion. Enjoy the aroma of fresh pumpkin pie. Your skin benefits from the alpha-hydroxy acids found naturally in pumpkin to rejuvenate and replenish your complexion. This treatment promises layers upon layers of skin glowing goodness. Oh what a way to kick off your day. This treatment regular price $125; is on special for a $45 savings. What is better than a well groomed man? 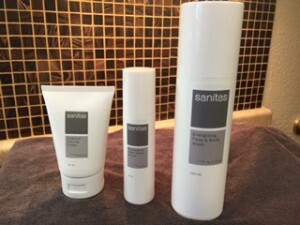 Sanitas Skin Care has created the most delicious smelling #men’s skin care. The set includes: Energizing Face & Body Wash that softens the skin and beard to prepare for shaving and inhibits ingrown hairs; Essential #Shaving Cream that delivers a clean shave without irritating the skin, rich shea butter and jojoba oil soften the beard and protect against cuts; Restorative After Shave Serum is a fast absorbing, alcohol free formula designed to instantly calm skin on contact. It contains Vitamin C, Zinc and Oat extract. Help soothe redness, reduce and prevent inflammation and provide anti-aging for the man you love. The scent is enticing and you won’t want to quit snuggling his neck after this shaving regime. 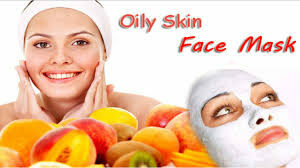 #sanitas, #skindeepgj.com, #skincaregj.